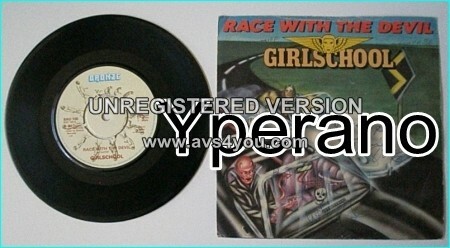 Home / Search by Media Type / 7" / GIRLSCHOOL: Race With The Devil 7″ Check video. SIGNED Autogrphed. Track 2 from the 1980 Race With The Devil 7″ single is a different version than the original single from 1979. SKU: YP-1888 Categories: All Genres, Hard Rock, NWOBHM, Search by Media Type, 7", NWOBHM 7"